*Corresponding author. Tel. : +65-67905288; fax: +65-67921650. E-mail address: xsqin@ntu.edu.sg (X. S. Qin). In this study, a parsimonious framework for supporting Water Sensitive Urban Design (WSUD) was proposed to seek a tradeoff between investment of WSUD features and mitigation of urban flood damage. 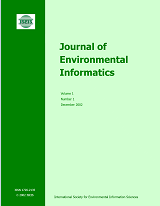 A two-dimensional (2D) hydrological-hydraulic simulation model, PCSWMM, was adopted to simulate the rainfall-runoff process and inundation scenarios, and the flood damages was evaluated based on inundated water depths and damage curves. The sensitivity of deploying various design features to flood control effects was also tested, which provided useful information for identifying potential design parameters (like conduit sizes and pond locations). The proposed framework was applied to a hypothetical case adapted from an urban district in the tropical region considering various WSUD features (i.e. rainwater storage pond, rain garden, and conduit upgrading). The results showed that when the gross investment of WSUD features increased from 0 to 1.19 million $, the damage cost would decrease from 4.61 to 3.41 million $; a linear relationship (with a R-square fit at 0.9) was found suitable to represent the relationship between the investment and the damage. The proposed framework is effective in helping assess the balance between mitigation of urban flood damage and adoption of WSUD features, and could be used to support urban water managers for a more science-based decision making towards flood risk management.